One proposal involved stricter enforcement of antitrust laws. Another proposal was to bolster Medicaid and expand federal funding for preschool and child care. Another involved the Midwest becoming a leader in renewable energy and moving digital jobs to rural areas. If you’re wondering how those particular interventions are supposed to help struggling farmers, welcome to the club. I’ll bet that every one of those farmers is still scratching his head over those “solutions” to their financial and economic woes. That’s pathetic given that these five people are running for president. But keep in mind that President Trump has already co-opted the Democrats by adopting their signature solution for everything — welfare. He already sent welfare checks to farmers who have lost big money as a result of his trade wars, which, according to the article, they’ve already spent. I suppose Trump’s Democratic opponents are reluctant to call for more welfare because it might seem like they’re endorsing Trump’s farm-welfare plan. 1) Immediately end all of Trump’s trade wars against everyone, including China. This would immediately expand markets for American farmers. 2) Immediately end all sanctions and embargoes against everyone, including Cuba, Iran, North Korea, and Russia. This would also immediately expand markets for American farmers. 3) Forget about renegotiating NAFTA or any other “free trade” agreement. Instead, open U.S. borders to free trade by unilaterally lifting all tariffs and trade restrictions. This would increase economic prosperity for people all over the world, which would inure to the benefit of American farmers through increased purchases of American farm products. 4) Open the borders to the free movements of people. Open immigration would lower production costs for American farmers. 1) Repeal the federal income tax, which would leave farmers free to keep everything they earn. The United States was founded as an income-tax-free society and it stayed that way for more than 100 years. Restore this founding principle to our nation. 2) Dismantle all welfare-state programs, including Social Security, Medicare, education grants, farm subsidies, and foreign aid to dictatorships. The welfare state has inculcated a mindset of hopeless dependency among recipients, including farmers, and has severely damaged such values as independence, self-esteem, and can-do. 3) Stop the president and the federal government from managing the economy. As the French once put it, “Laissez faire, laissez passer.” Let it be, let it pass. Leave economic activity free of government control, regulation, and taxation. Separate economy and the state. 4) Dismantle the national-security establishment (i.e., the Pentagon, CIA, and NSA) and restore a limited-government republic to our land. Immediately end America’s forever wars, close all the foreign military bases, and bring all the troops home from everywhere. End all the interventions, assassinations, and regime-change operations. All this would not only help to restore liberty and privacy to Americans, but it would also reduce the massive federal spending and debt that are threatening our nation with bankruptcy. In other words, the solution to the woes that afflict American farmers is not more federal welfare and more federal intervention. The solution is economic liberty and a genuine free-market economy. 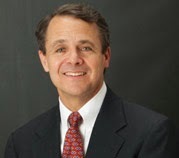 About the author: Jacob G. Hornberger is founder and president of The Future of Freedom Foundation. This article was published by The Future of Freedom Foundation.